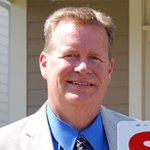 Although I have been a licensed sales agent in the Commonwealth of Virginia since 2011, I have been in the real estate business all my life. My father was a real estate Broker in Richmond, VA, when I was young, and I earned money in the summer mowing the lawns of his listings. He became a single family residential Builder while I was in high school, and I worked for him for over 30 years building hundreds of homes, developing single family residential subdivisions and several commercial projects along with a multifamily apartment project all in the Fredericksburg and surrounding areas. During those 30 years, I have lived in Caroline, Spotsylvania, and Stafford counties, and currently reside in the City of Fredericksburg. My building background gives me a fairly unique perspective to the real estate business and I enjoy working with both Buyers and Sellers in helping them achieve their real estate goals. From a very early age, my father instilled in me a strong work ethic with a focus on integrity and fairness in all dealings, both personal and professional. I work hard for those who have entrusted me to work for them. While I am a fierce competitor, I also very much believe that a “good” deal is one that benefits both parties. I play competitive golf whenever I can, and I have been coaching the James Monroe High School golf team since 2011. I follow both college and professional sports in almost every form, and usually find myself pulling for the underdog, with certain exceptions. My wife, Diane and I continue to celebrate our life together since getting married in 1985. We have 3 children, two of which are married, and the grandchildren are coming faster than we can keep up, but we do our best to spoil them equally. My eldest daughter is married to a US Marine currently stationed at K-Bay in Oahu. They have two of our grandchildren with another due in July of 2018. My middle daughter, married to a professional video specialist, works with her husband and takes care of our grandson, which is a full-time job. My son is the youngest of the three and swims for Randolph Macon College in his second year with the school. We are all fully vested in the Fredericksburg area, which we have called home for over 30 years. Please contact me with all your real estate needs. Thank you.